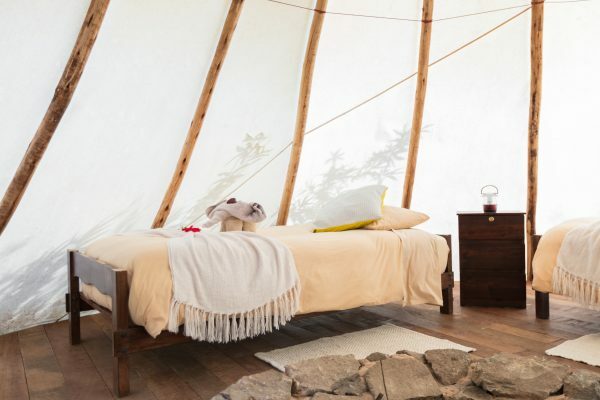 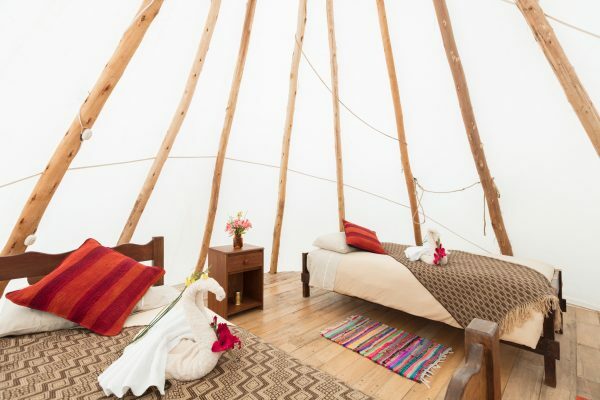 We are excited to offer additional accommodations in a very simple setting, sleeping close to nature and in one of our three full size tipis. 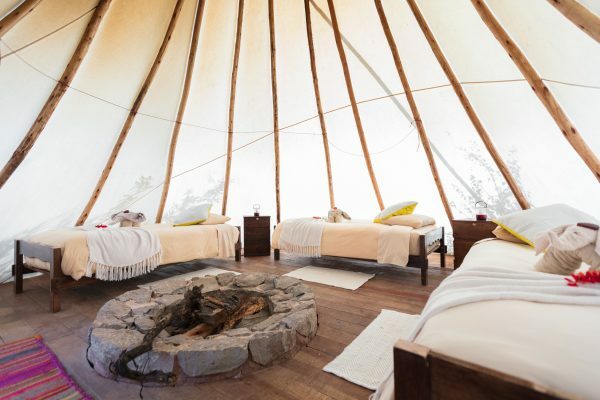 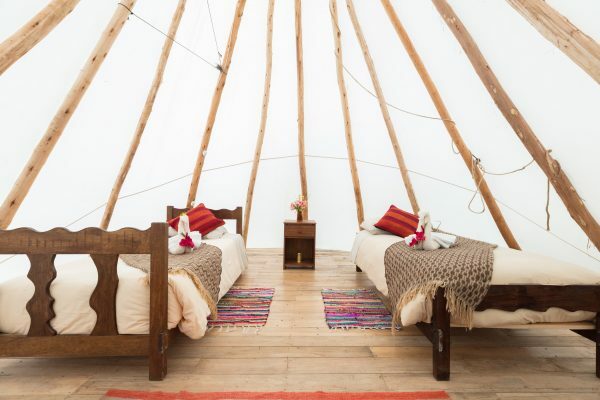 The Tipi village is set in our fruit orchard and is located just a few steps away from our Bathroom and Shower house. 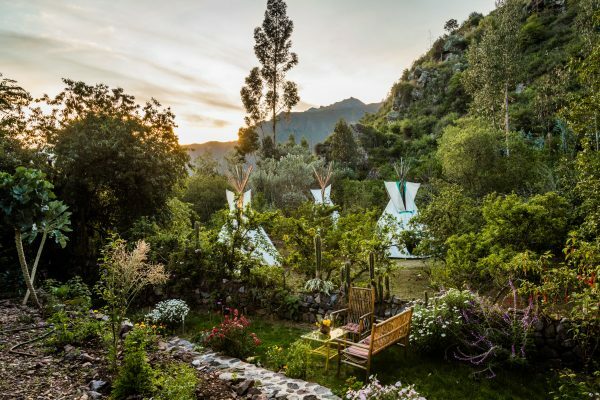 Note that for those wanting an even deeper immersion into living close to the earth, there is also a compost toilet and outdoor shower. 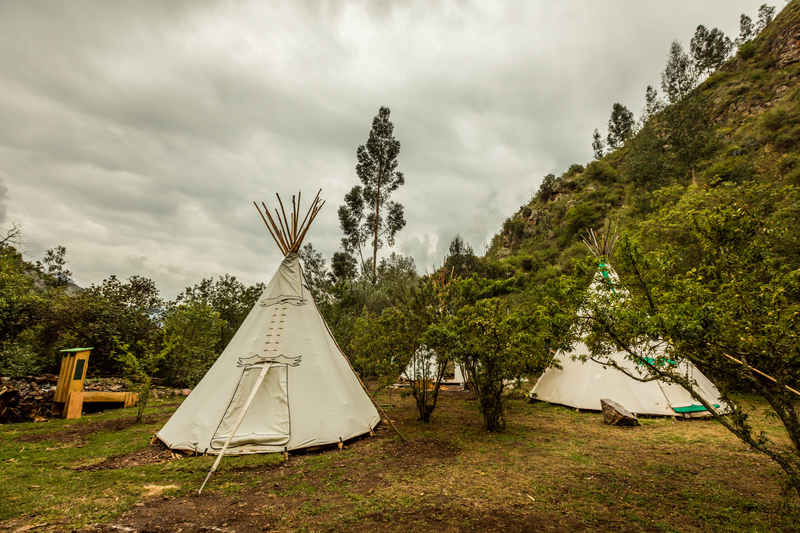 The village is made up of three tipis (one with 3 beds and the others with two) which provide shared accommodations at a lower price point, basic and simple but still enjoying all the comforts and beauty the retreat center has to offer.